Chris Koehn is originally from Wisconsin. 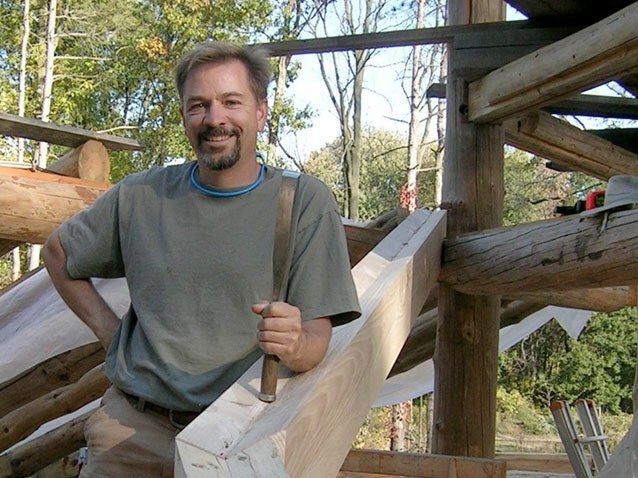 He became interested in building through a fascination with timber framing that came from living and studying in Europe. Chris, along-side his wife Ruth, built his first timber framed home for their family in 1990. He is a lifetime member of the Timber Framers Guild and is one of 30 timber framers in North America to achieve journeyworker status. He has presented at conferences, organized and managed workshops and projects, and participated in continuing education events. Of these, his trip to Rottweil Germany to study advanced roof framing stands out. Chris and his family have grown deep roots on Vancouver Island, where they have lived, worked, and played since 2007. “From TimberGuide's inception our focus has been on whole house construction. Every home we've built has been timber framed: some fully timbered and some with just a trace. Over the years TimberGuides has built super insulated homes; homes with high recycled content; and a few that today would approach passive house standards. Besides timber being a consistent theme over the years, we've striven to build homes that “fit” in a vernacular sense: they respect the land they're built on, the materials that they're built from, the climate their built for, and of course the people who live in them. We understand how these buildings work- aesthetically, structurally, and functionally. We are excited to be affiliated with the EcoNest Company. We share values, and in many ways our partnership represents a summary of how we feel about the homes we build”.